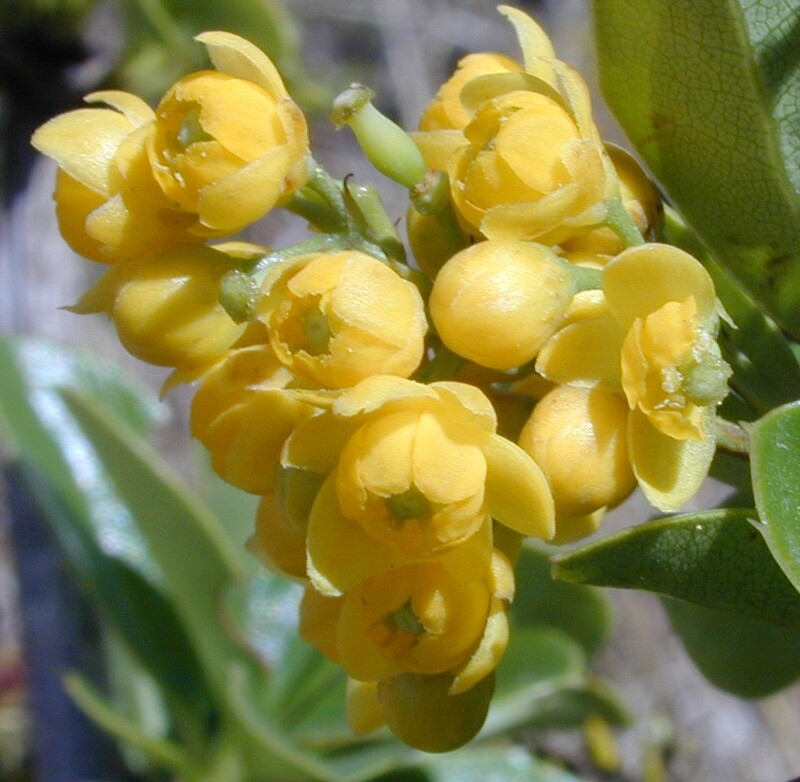 The Berberis checklist, is an on-going effort to compile and database a complete list of names that have been published for the genus and to determine the current taxonomic and nomenclatural status. Data is stored in TROPICOS®, linking all nomenclature, types, synonymy, current taxonomy, and literature for each species in the genus Berberis worldwide. The taxonomy accepted is derived from consultation of literature and specimens or from contributions by collaborating specialists. The genus Berberis L. comprises about 500 species with simple leaves (true Berberis) and some 200 species with compound leaves, which are traditionally recognized as a separate genus Mahonia Nuttall. Molecular data does not support such separation, however some current floristic treatments as well as the horticultural trade treats them separate. This site includes names of both genera as recognized by the most current treatment. Other genera in the family Berberidaceae treated in floras listed below are also available in this site. Updates will be added as they become available. Species currently included are from Canada, United States, Mexico (Veracruz), Venezuela, Ecuador, Peru, Bolivia, Chile, and Argentina; China. For more information, please contact the coordinator of the Project, Carmen Ulloa carmen.ulloa@mobot.org. Ahrendt, L.W. 1961. Berberis and Mahonia, a taxonomic revision. Bot. J. Linn Soc 57:1–410. Camargo, L. A. 1966. Especies nuevas del género Berberis de Colombia, Ecuador y Venezuela. Caldasia 9: 313-351. Camargo, L. A. 1981 Especies nuevas del género Berberis - II. Caldasia 13(62): 203-222. Camargo, L. A. 1983. Especies nuevas del género Berberis - III. Caldasia 13(65): 685-691. Camargo, L. A. 1992. Especies nuevas del género Berberis - IV. Caldasia 16(79) 419-424. Fedde, F. 1902. Versuch einer Monographie der Gattung Mahonia. Bot. Jahrb. Syst. 31:30–133. Kim, Y-D., Jansen, R.K. 1995. Phylogenetic implication of the chloroplast DNA variation from the Berberidaceae. Plant Syst. Evol. 9[Suppl]:341–349. Kim, Y-D., Jansen R.K. 1998 Chloroplast DNA restriction site variation and phylogeny of the Berberidaceae. Amer. J. Bot. 85:1766–1778. Kim, Y-D., Kim, S-H. & L. R. Landrum. 2004.Taxonomic and phytogeographic implications from ITS phylogeny in Berberis (Berberidaceae). J. Plant Res.117:175–182. Lafferriere, J.E. (1997) Transfer of specific and infraspecific taxa from Mahonia to Berberis (Berberidaceae). Bot Zhurn 82:95–99. Landrum, L. (1999 ) Revision of Berberis (Berberidaceae) in Chile and adjacent southern Argentina. Ann. Missouri Bot. Gard. 86:793–834. Lechler, W. 1857. Berberides Americae australis. Stuggart. Marroquín, J.S. 1973. Berberidáceas de México. Tesis, Universidad Autonoma de Nuevo León. México. Orsi, M.C. 1976. Sinopsis de las especies Argentinas del género Berberis (Berberidaceae). Bol Soc Argent Bot 17:127–149. Schneider, C.K. 1905. Die Gattung Berberis (Euberberis). Vorarbeiten für eine Monographie. Bull Herb Boissier Ser 2 5:33–48, 133–148, 391–403, 449–464, 655–670, 800–812, 813–831. Ulloa Ulloa, C. 1999. Berberidaceae. In: P.M. Jørgensen & S. León-Yánez (eds). Catalogue of Vascular plants of Ecuador. - Monogr. Syst. Bot. Missouri Bot. Gard. 75: 319-320. Ulloa Ulloa, C. 2008. Berberidaceae. Pp. 269. In: Hokche, O., P.E. Berry y O. Huber (eds). Nuevo Catálogo de la Flora Vascular de Venezuela: Fundación Instituto Botánico de Venezuela, Caracas. Whittemore, A. T. 1997. Berberis (Berberidaceae). Pp. 276–286 in Flora of North America Editorial Committee (editors). Flora of North America North of Mexico. Vol. 3. Magnoliophyta: Magnoliidae and Hamamelidae. Oxford Univ. Press, New York. J. Ying, T-s. Y., D. E. Bouford & A. R. Brach. 2011. Berberidaceae. Flora of China 19: 714-800. Bob Magill and Jay Paige helped developing the site and migrating the data. This page was last revised 4/2014.